From the nearest local supermarket to the biggest retail or e-commerce companies like Amazon, the one thing they share in common is the same thing that makes them a class apart and it is supply chain management (SCM). In this increasingly connected and globalized world, almost every product from coffee mugs, toothbrushes, apparels to cars, building materials etc., are supplied from different parts of the world. Hence, proper supply chain management is a key to every consumer-based business. How likely would Amazon still be in business if their SCM were poor? Given the financial and technical resources the large companies possess, they employ a complex set of SCM solutions however they are still affected and fall short of being efficient when it comes to dealing with certain factors like intermediary channels, lack of visibility of assets etc. 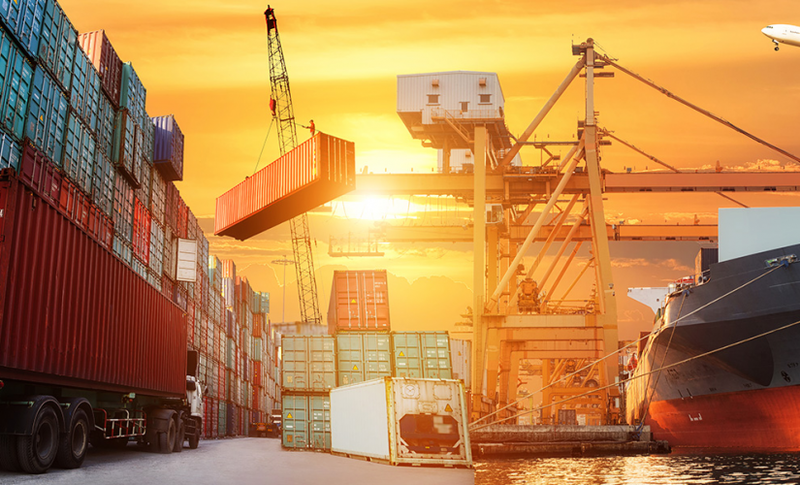 With the world spending on IoT to reach an estimated $772.5 billion in 2018, IDC further estimates that the connectedness would improve the productivity in manufacturing supply chain by 15%. Hence it does seem that the current SCM solutions irrespective of the industry are far from being called efficient. Smart supply chain is seen to be the ultimate solution for the existing problems. It makes the asset traceable, identifiable and interactive. In addition, it reduces costs and brings visibility to the processes in SCM. Internet of Things (IoT) is the underlying technology that enables this transformation to smart supply chain. Cisco estimates that of the total market value IoT creates ($8 trillion), $1.9 trillion will be associated with supply chain and logistics. Problems that call for better SCM solutions are largely in the consumer durables, apparels and consumer goods industry. As hinted before, lack of visibility of assets through the supply chain is a major problem. Companies more often have to rely on a long list of intermediaries like importers, distributors, franchisees and many others to sell their products. Among problems that arise due to this, includes inefficient handling of stock-outs because proper sell out data of products is not available for companies except that come from their own retail outlets. As per a study of survey data involving 71,000 customers from 29 countries, it was suggested that retailers can lose nearly half the intended purchases when customers encounter stock-outs. For a billion dollar retailer, it can mean a loss of $40m a year on sales. Whereas in contrary to encountering a stock-out, stock obsolescence is another issue, in simple terms, it is the issue of product not selling out or having a short shelf life that is unlikely to be used in future , this is particularly a major issue for the FMCG industry. So how does IoT become a solution to SCM? With every item being tagged and recorded, companies can have complete insight into the data of stock-out and stock-obsolescence that will enable them to manage their business as per the data received. It will also enable companies to quickly identify the outlets that have more customer turnouts which will allow them to optimize their spending. Visibility is arguably the biggest gain that IoT provides for SCM. Companies will be ‘in the know’ of everything from the start of the product lifecycle till customer purchase. This will provide the necessary insight needed for making better business decisions. For FMCG companies, this is a crucial factor because they will be able to know the conditions of their products while in transit or in shelf such as temperature, which is extremely important in case of packaged food. IoT would improve customer satisfaction by ensuring speedy and quality delivery. Besides, customers require information or timely alerts regarding the location status of their items. Hence with real-time tracking available, they are less likely to subscribe to different companies due to the wholesome experience they receive from such services. Currently, IoT startup space is getting to the point of being saturated with each aiming to provide solutions in niche areas. Tive, Evrythng and Discovery are few of the IoT based solution providers in the supply chain. While Tive focuses solely on providing SCM solution using a tracker and a cloud-based software, Evrythng, as the name suggests, provides many solutions of which SCM is a part of. Evrythng also works similar to Tive by capturing real-time data making use of on product identifiers or sensors. However, Discovery seems to be a behemoth in its scope as SCM specific IoT solution provider. It provides a comprehensive solution that includes the use of a low-cost self-charging IoT tag called ‘Cliot’ which is unlike any other solution that is available presently. Besides the tag, what sets them a class apart is that they aim to make their network highly scalable through Blockchain 4.0 technology. In the context of SCM, possibly the most interesting part is the common smartphone user community that forms the backbone of this whole network they are creating. The tag, Cliot, transmits data to the user’s phone (with their D-App), in its range, operating on blockchain based algorithm via WiFi, NFC or Bluetooth. The smartphone and Cliot automatically enter into a smart contract and the Cliot’s ping is recorded on to the blockchain network. Thereafter, the data received is then transmitted using user’s telecom network to cloud. It is remarkable in that there is no infrastructural requirement for enterprises looking to adopt this solution, and it is highly scalable. Besides, Discovery network provides an incentive for the smartphone users who lend their data, and this would provide a passive income without the need for any active user involvement (they don’t have to “read” the products, for instance). Global markets are changing at a quick pace. Technologies like IoT, Machine learning, AI, computer vision are taking businesses by storm, the proliferation of startups is no mere coincidence. Soon the market monopoly of few corporations will cease to be the norm. As consumers become more informed, their preferences change, ultimately affecting their buying behavior. This change, therefore, impacts the processes behind consumer product lifecycle and therefore in order to stay ahead of the competition, it becomes necessary to adopt technologies that make supply chains smarter, efficient and data-driven.